The Hurricane Shelf is dedicated to the victims of all Natural Disasters. The Memorial is located at Mile Marker 81.5. 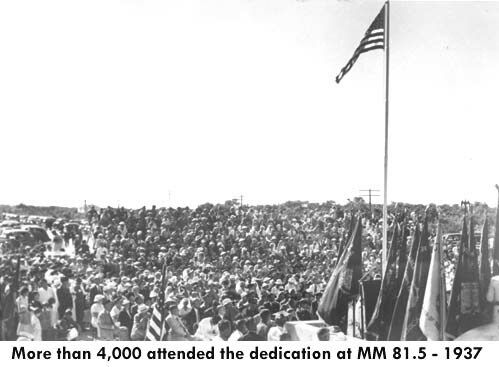 This was probably the largest gathering ever for a single event in the Upper Keys. 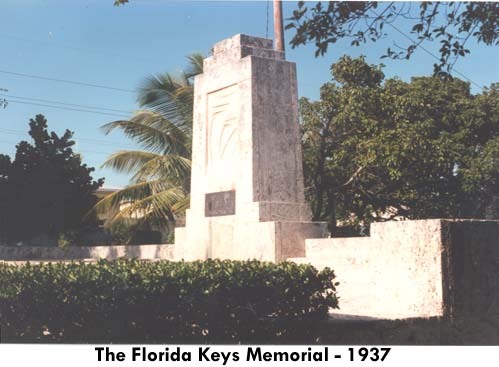 The memorial is on the National Register of Historic Places list. 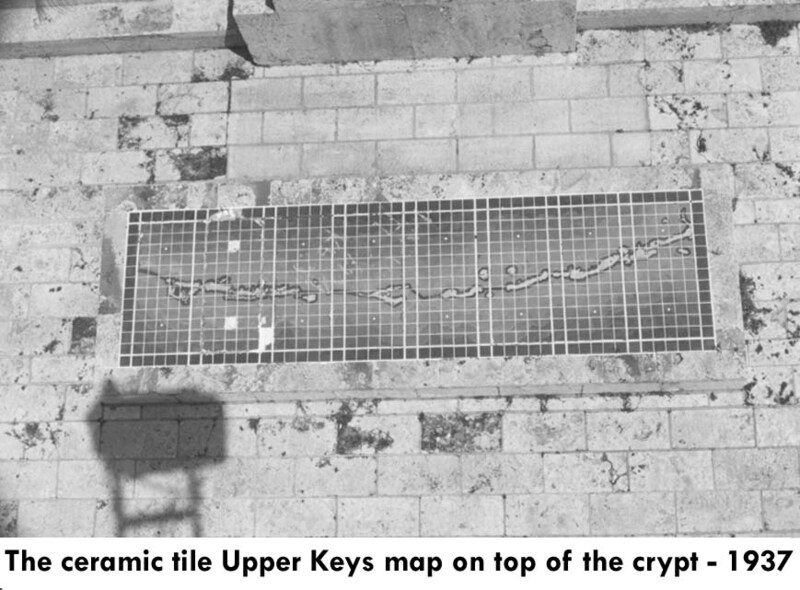 The crypt contains the remains of all those collected and saved and some of the families of those who died later. 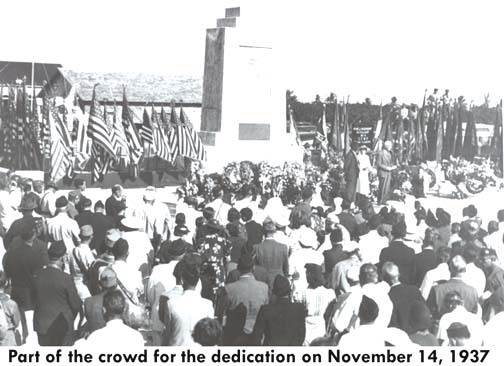 The dedication was attended by a broad and diverse representation of the public. 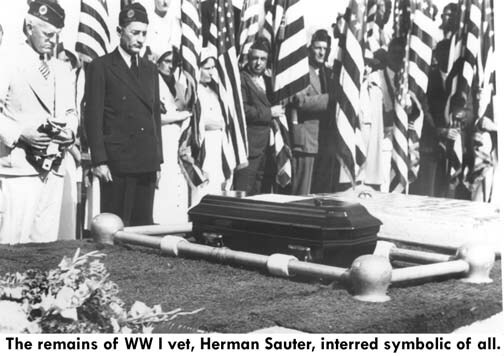 Herman Sauter, a Philadelphia, Pa. veteran, was identified by discharge papers found on his body and was chosen to represent all others, veteran and civilian. 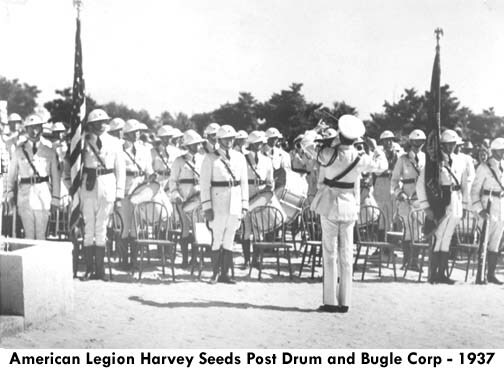 The Harvey Seeds Post of the American Legion was instrumental in relief work and the promotion of the memorial. Post Commander, Lt. Thomas Kelly, addressed the group. 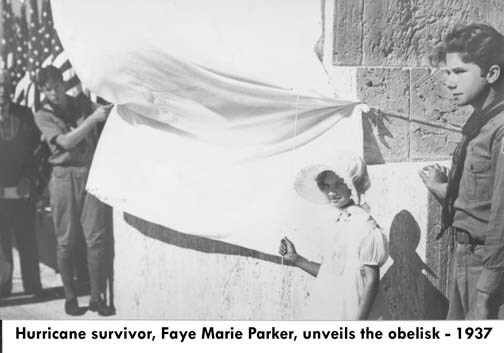 Nine year old Faye Parker with the help of two Boy Scouts, it was a windy day, pulled the rope to unveil the 18-foot high obelisk. Now that you have been this far, if you have time for a 27 minute movie of the hurricane, please Click Here. 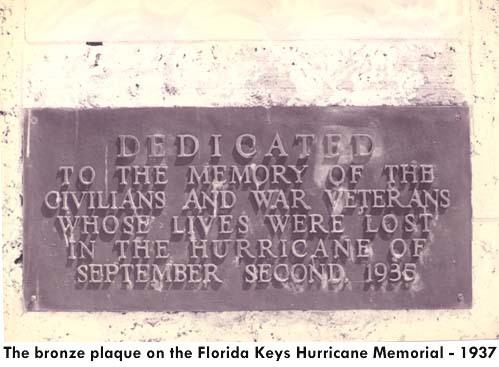 Or, if you wish more information about the World War One Veterans on the Keys,Click Here.